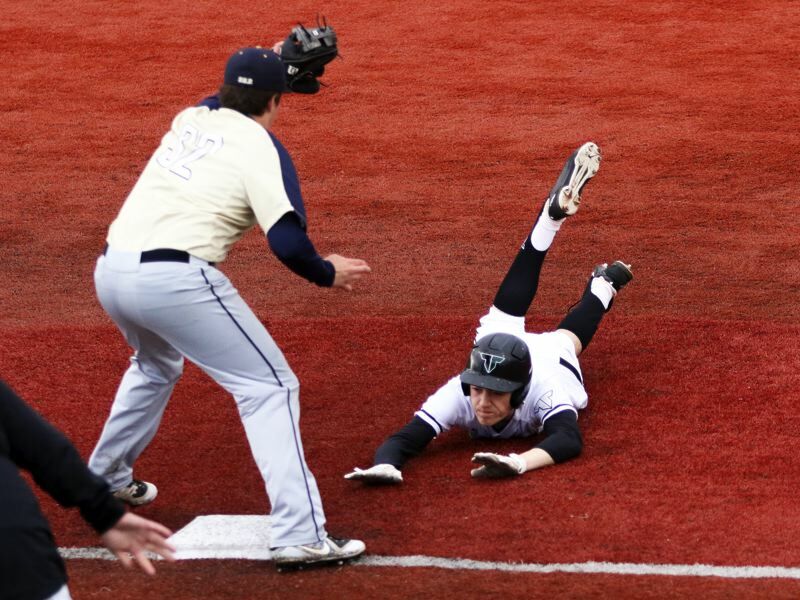 TIGARD — It took the Tigard High School baseball team awhile to get its offense going. Tiger junior pitcher Sam Gerkman didn't quite have his best stuff. But, in the end, none of that mattered. Tigard found a way to get it done — and get it done impressively. The Tigers, despite some struggles, came away with a 4-0 win over Canby in a Three Rivers League game played Friday at Tigard High School. "This is a big win," Gerkman said after the contest. "We're in a fight for playoff position. We knew we needed a sweep here. We knew this team was good, and they'd give us good competition, but we also knew that we could handle it." "It went really well," said Tigard senior Nick Heinke, who broke a scoreless tie with an RBI double in the bottom of the sixth inning. "We started off slow. It was a good pitching match-up, but we fought to the end." With the loss, Canby moved to 2-9 in TRL play (6-14 overall), putting the Cougars in a tie for sixth place in the league standings. 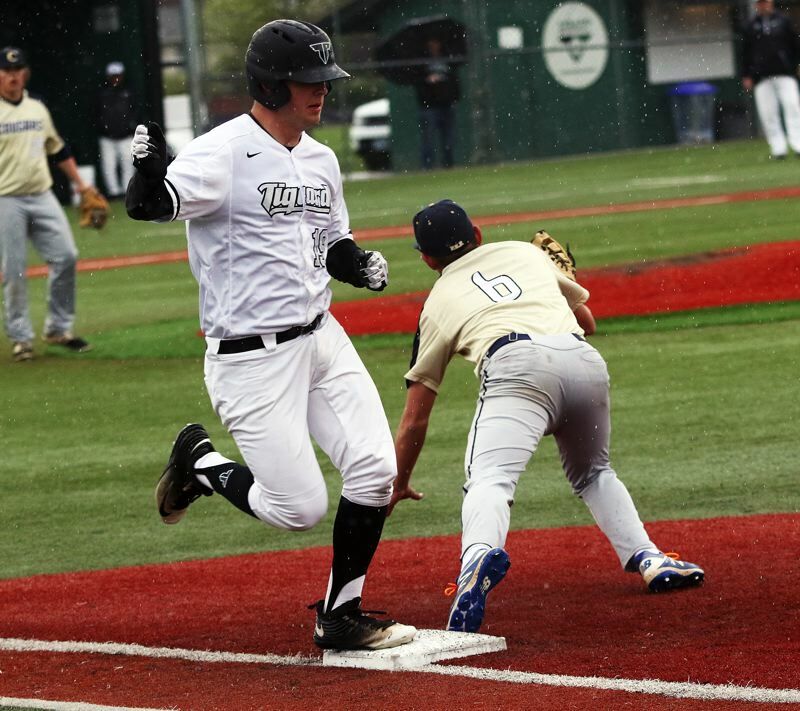 With the victory, which gave the Tigers a three-game sweep in the series, Tigard improved to 7-4 in TRL games (14-6 overall), putting the Tigers in a tie with Sherwood and Tualatin for third place in the league standings. "It was important to get this, going into Tualatin," Heinke said. "We wanted momentum going into that series." Gerkman, while coming away with a complete-game shutout, had to work to get the victory. He gave up three hits, while striking out 10 and walking five. "I had a little bit of trouble finding the strike zone. I think there's something in my mechanics, because it happened against West Linn, also. I walked a few too many batters," the left-hander said. 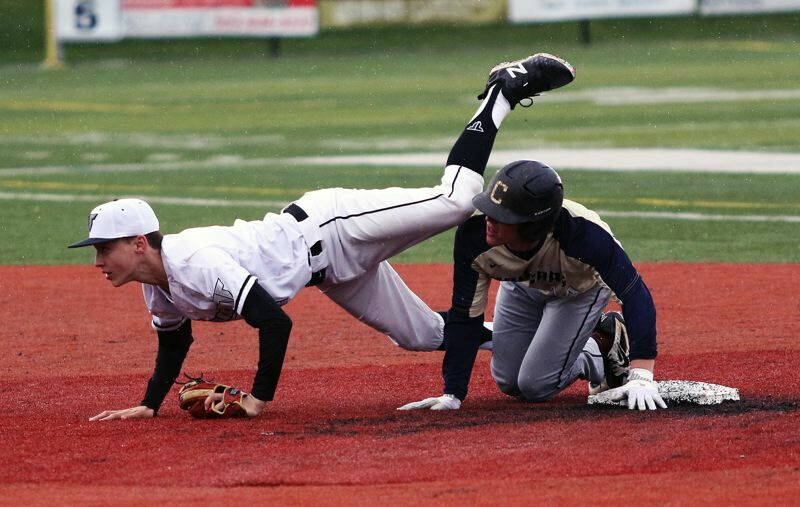 "I found a way, here and against West Linn, to try and control it and work my way around my poor location, but big ups to my catcher (senior Joey Cavalli). He's doing a great job back there, working with me and my bad location." "Anytime you get 10 strikeouts, you have to come up with enough runs to get the 'W,'" Heinke said. 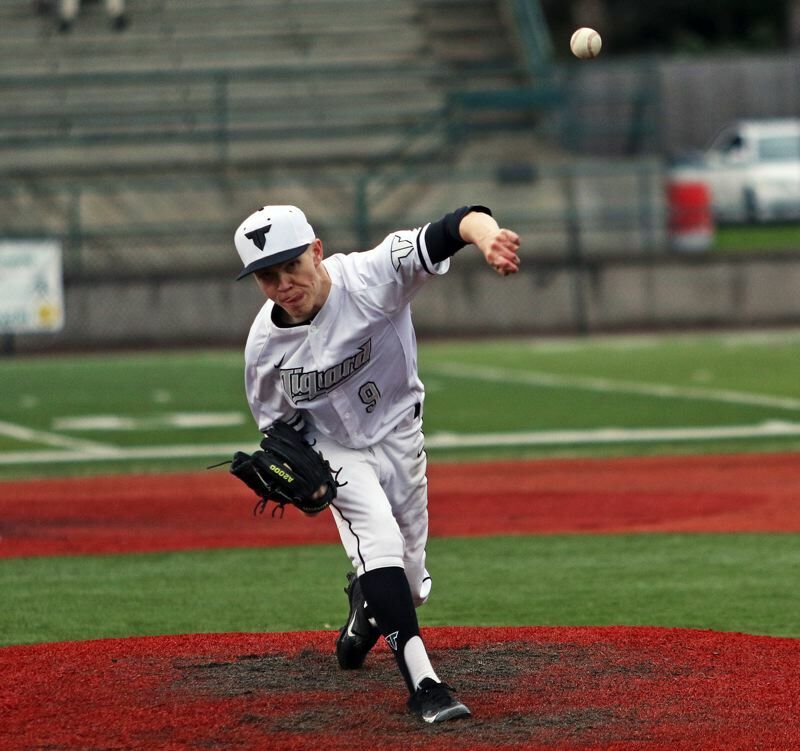 Still, though five innings, the Tigers found themselves in a scoreless tie against Canby, and sophomore pitcher Cayden Delozier. 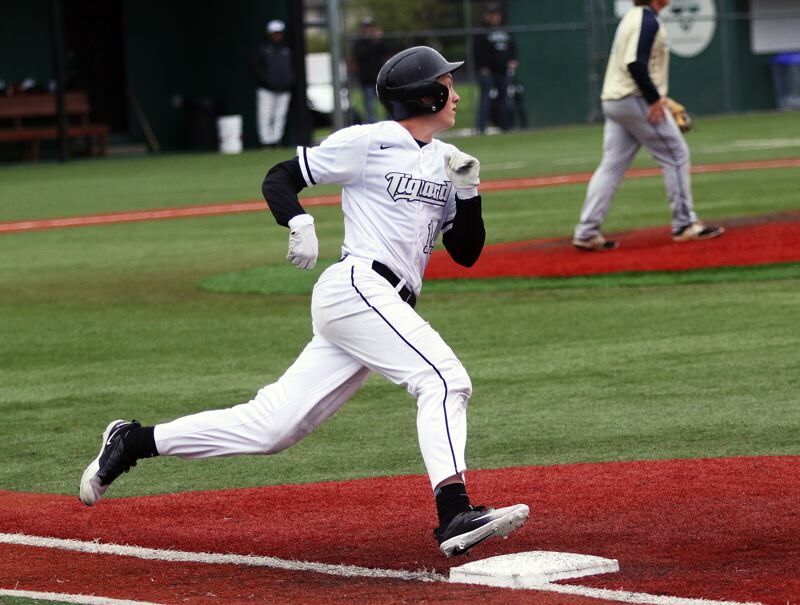 "We knew we had guys in scoring position before the sixth inning, so we knew we had the ability to do it, but we just weren't coming up in the clutch," Heinke said. But that changed in the sixth. Tiger sophomore Ethan Clark drew a walk to lead off the inning. Senior Micah O'Donnell then reached first base when Canby committed a throwing error on his sacrifice bunt. 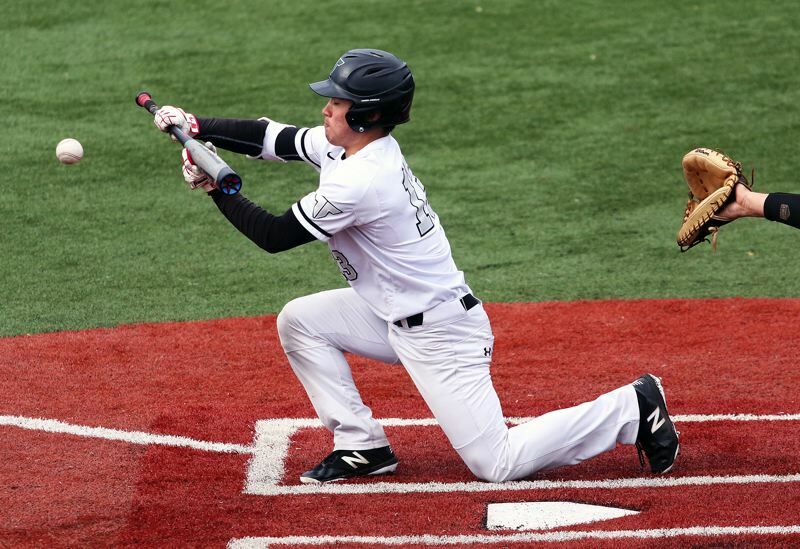 Then, following an out at third on a fielder's choice bunt by Cavalli, Heinke came up with the big hit of the game, when he double to the fence in right field. O'Donnell scored on the hit. Cavalli was also awarded home on an interference call on the Cougars on the play, giving the Tigers a 2-0 lead. "I was just looking for a pitch to drive," Heinke said. "We had guys in scoring position, so I knew we just needed a base hit." The Tigers kept going from there. Sophomore Fletcher Ahl followed Heinke's hit with a walk. Junior Lance Kreisberg then singled to right, plating Heinke to make the score 3-0. Ahl scored later in the frame on a fielder's choice groundout by senior Michael Quintana, wrapping up the big inning and giving Tigard a 4-0 advantage. Quintana, the Tigers' shortstop, then turned a game-ending double play in the top of the seventh to secure the victory. "I knew that, with the way I was feeling, we'd just need to get one, or two runs," Gerkman said. "Me and the defense would take it from there. It happened a little late, but it happened in a big way, and we got it done." 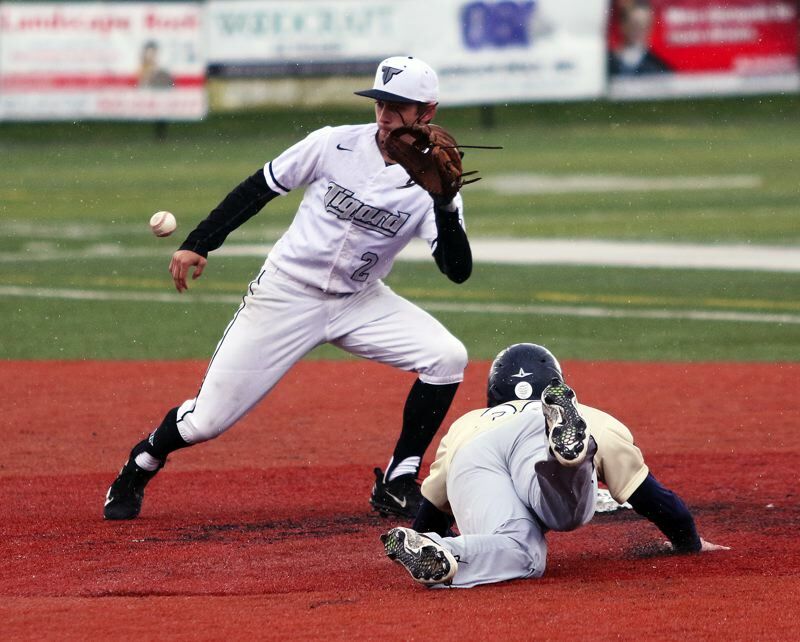 Tigard, as a team, had five hits in the victory. Kreisberg had two of those hits. Heinke, Ahl and O'Donnell had one apiece.